Blue and green aren’t fit to be seen except on a midsummer nights colleen…at least that is what my Aunty Corinne used to tell me when I was little. I think times may have changed, I know they have for me and I quite like green and blue together. 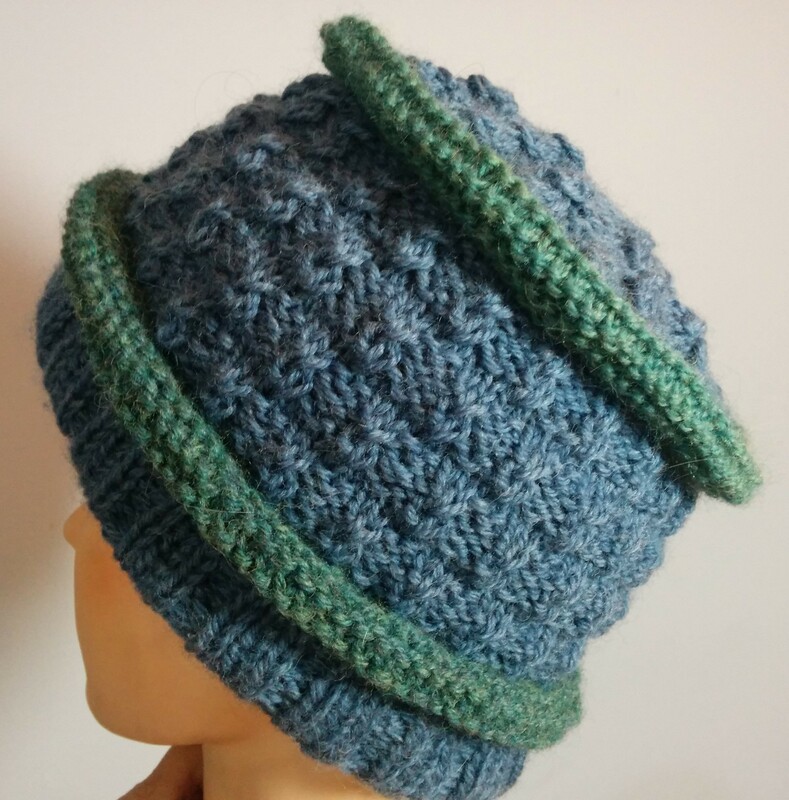 This hat uses Slip Stitch Ribbing Variation, pg 44 and Twisted Check Pattern, pg 117. I cast on 100 stitches, did 15 rows of ribbing then reconnected to the cast on row, changed to green and did 12 rows of garter stitch, reconnected again with blue and did 2 repeats of the twisted check, switched back to green for 12 garter stitch rows, connected it back on itself again with blue and increased 5 stitches to 105. For the top, I used Twist-Three Cables, pg 116, I did one full repeat, then got rid of every third cable, did another repeat and got rid of every other cable, did another repeat and got rid of the rest of the cables and then just decreased to nothing. 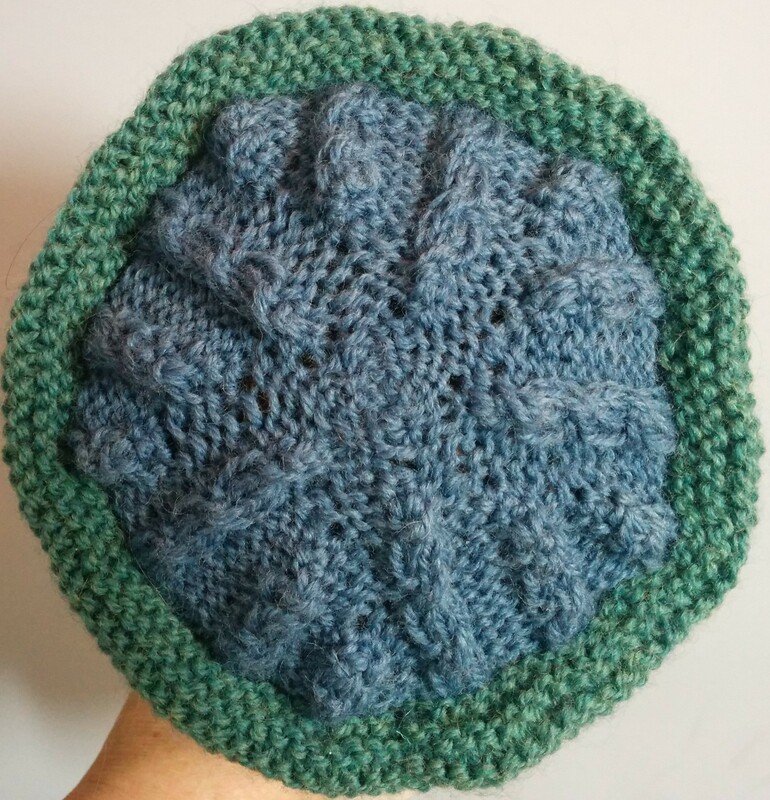 This entry was posted in Barbara Walker and tagged A Treasury of Knitting Patterns, Barbara Walker, Patons Classic Wool on September 22, 2015 by gillianknitter.